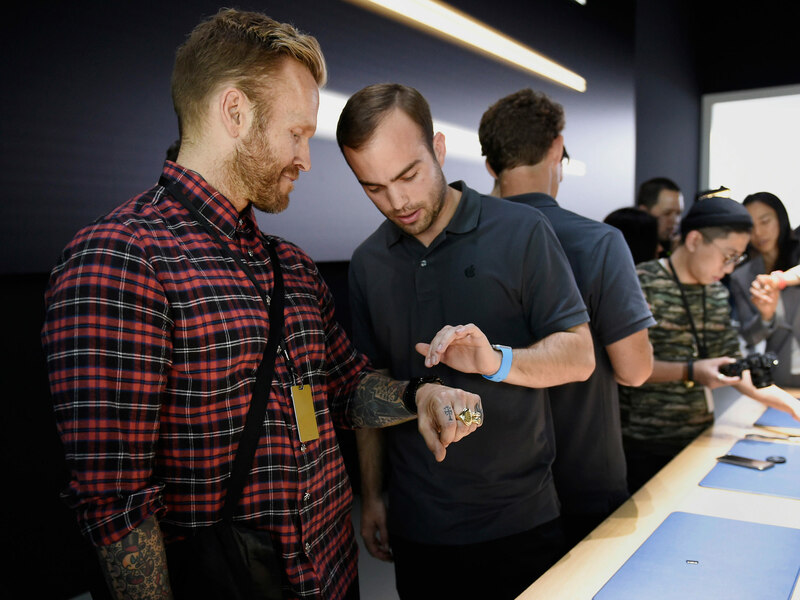 The Apple Watch, that was launched a little bit over two months ago, isn’t witnessing huge sales anymore – according to a report for last week, sales have dropped quite drastically, but the company notes that their smartwatch device ain’t doomed. Consumer interest has taken a nose dive, and it’s plummeting. In the first week of launch, back in April, consumers bought 200,000 devices a month, and according to Slice Intelligence reports, it’s nos standing at almost 20,000 units per month. That’s a 90 percent drop. This statistic represents the US market. Apple Watch has sold 4.5 million units, according to the June fiscal quarter – this is more than 1 million units than Apple’s first release of the iPhone, back in 2007. Apple hasn’t officially released sale reports, and you should take this info with a grain of salt. SI reports note that Apple Watch has done pretty well with their Sport models – two thirds of the stock actually. The more expensive models Apple Watch, and Apple Watch Editions, haven’t seen that many good days. 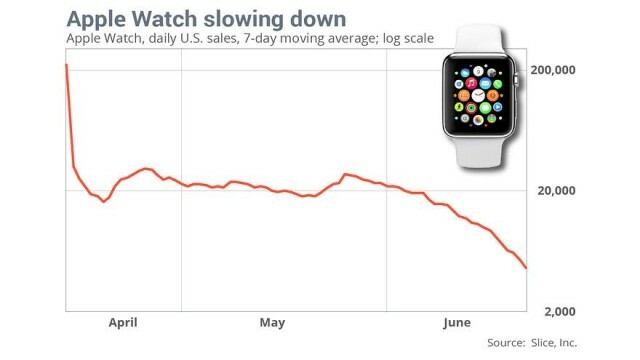 To better understand Apple’s predicament, only 2,000 Apple Watch Editions have been sold in the US. An interview with Apple VP Jeff Williams for ReCode, noted that the company was happy with how their smartwatch devices were selling, and that they weren’t scared, neither discouraged, by the rumors that are plaguing the interwebz. It doesn’t matter if the company is scared or not, their AAPL shares are trading at their lowest points in two months. Analyst Mark Hibben, who bashes, and bullies Apple on a daily manner, is noting that the Splice data is complete BS. Well, not complete BS, but it isn’t that trustworthy, because their strategy is flawed. Aaaand this app is going to make all your daddy issues go away. Hibben is expecting Apple to ship another 30 million units or so until the end of the 2015 calendar year, which will make the California-based company’s revenue to skyrocket. Prepare to welcome our new overlords guys! Can’t call that a hobby anymore Apple. And in this picture you can notice how a cult following is started. Their new watchOS 2 software proves to be the major deciding factor that entices new-comers to join Apple’s smartwatch squadrons. It’s pretty darn hard to make new-comers buy a never-before seen device. Smartwatches aren’t really that popular, but they have the potential to be the most used device. Apple gambled when they first launched their new top-of-the-line device. Limiting consumers to buy their smartwatches only through their online store was a bad idea, and good idea. Bad – because when it comes to this kind of device, people want to try it out first, see how it fits, how it feels, what it can do. Good – because the stock was limited, and at least Apple was able to keep their promises with pre-orders, and such. The Apple Watch won’t die, and rumors have it that the company is planning on releasing a next gen device sometime next year. 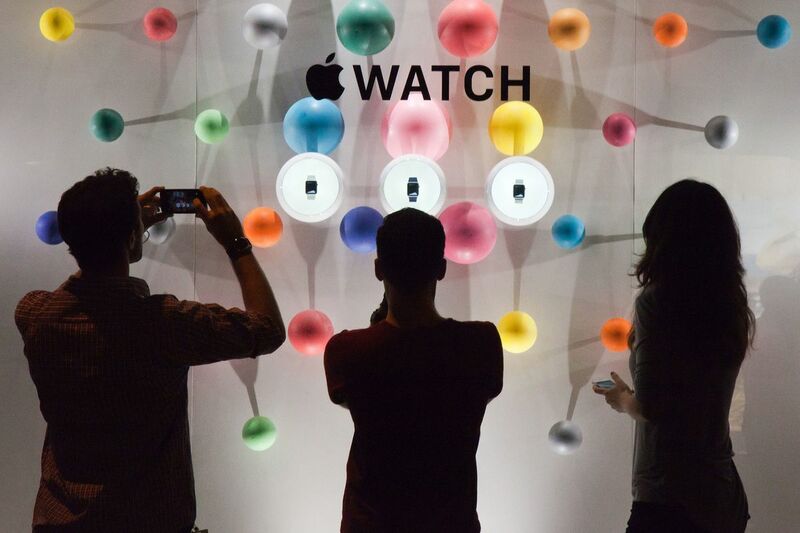 Apple Watch is made out of sugar, spice, and everything niche. I’m more than happy with my Apple Watch, and I’ll definitely buy the next gen smartwatch when the time will come. It has tremendous potential to be something great, don’t get me wrong, but at it’s current state it feels more like a toy – a toy that’s ready to pounce and shock everyone.